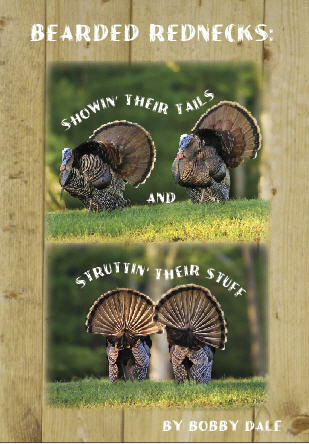 Bearded Rednecks: Showin’ Their Tails and Struttin’ Their Stuff is Bobby Dale’s third volume of tales about the pursuit of the grand gobbler and includes more hilarious and heartfelt stories that readers have enjoyed in Double Gobble and Turkey Roost Tales. Read on to hear what folks are saying about Bearded Rednecks. Cover Photo by Joe Mac Hudspeth, Jr.